It's a common sight on roads today, a driver is stopped at a light that has just turned green, heads down, eyes glued to their phone. People just can't seem to be able to disconnect from their electronic distractions. Blocking texting or other features on your driver's phone might not be the best solution. 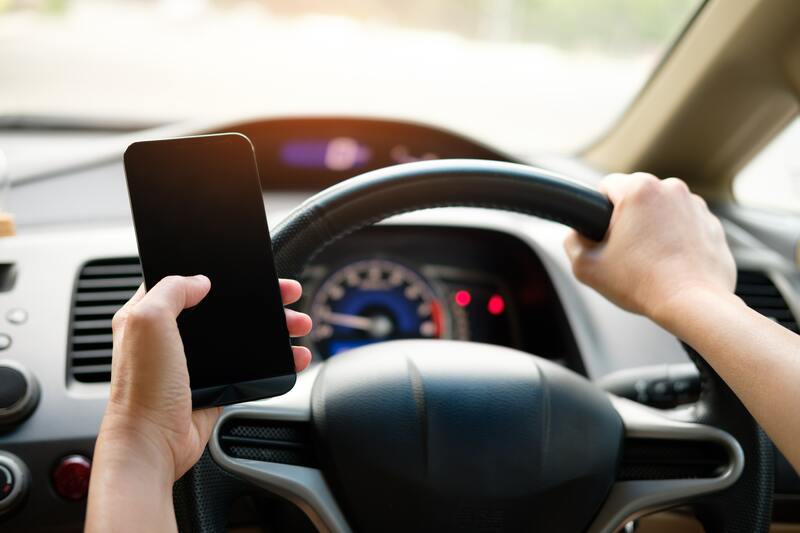 Taking a systematic approach to reduce distractions in the vehicle and train your driver on what is expected of them when they are driving your vehicle. Don't expect your people to mind-read what is expected of them. Avoid vague words like 'safe driving' since they mean different things to different people, not to mention most people think they are great drivers. Write out a written safe driving agreement and make both the manager and driver sign off. The document should spell out what each party is responsible for, typically this means the driver should do everything they can to drive safely and management will ensure the vehicle is clean, properly maintained and safe for use. This is probably the most important step, without feedback about what is going on and having a system to take action, drivers will default back to old habits. Create a scoring system based on the driver safety agreement standards for both drivers and managers. These systems do not have to be super complex and can be based on some easy to track metrics like damage to vehicles, accidents, complaints, and speeding or harsh driving data. Along with a system to score everyone, this is the second most important part. If it is known that you don't enforce the rules, no one will follow them. Ensure that drivers and managers are holding up their end of the agreement and if there are repeat offenders consider training or financial incentives to correct the issue. If you want to change the behavior of a driver, ideally you would have a professional driving coach riding along with them every shift. This is pretty impractical and expensive, so find other ways that you can have the same effect. If someone knows they are being watched, as with a dash cam, they are much more likely to be focused on the task at hand. Both driver-facing and road-facing dash cams are a powerful tool to help spot and correct poor behavior and habits. They can also help to reduce fraudulent insurance claims made by motorists about something your driver didn't do. Having a logo on your vehicle makes you a target for someone trying to make a quick buck. In the end you can't prevent every distracted driving accident in your company. If you put systems in place however, you will reduce the number of incidents and have clear expectations for new drivers to follow.